One of the many joys of working with the talented and enthusiastic singers of the Lexington Chamber Chorale is planning concert programs. We have presented over 90 concerts and performed over 500 pieces to date. Our concerts are primarily theme-based and this has served us well for the past 27 years because of the talent and flexibility of our singers and because our audience base is supportive of bold and innovative programs. 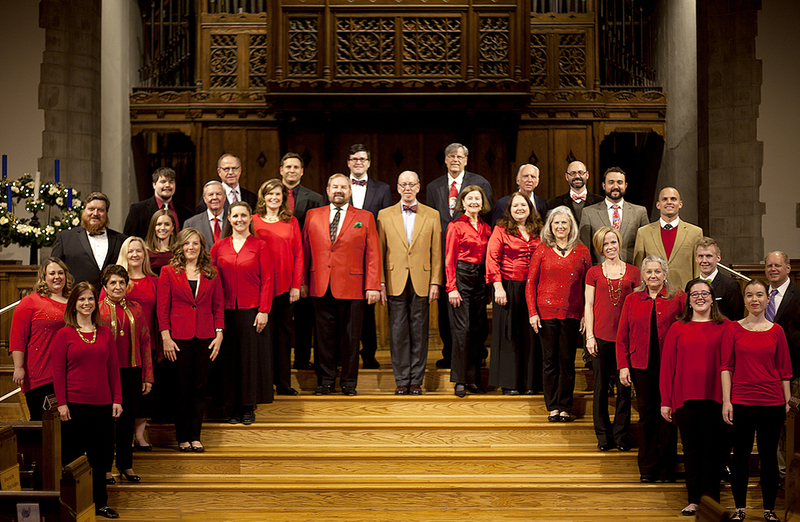 Our 28th season, themed “A Season for Singing,” is no exception. Our vocal take on The Seasons by Antonio Vivaldi. Selections, centered on each season, include works by Franz Joseph Haydn, Edvard Grieg, Edward Elgar, Claude Debussy and others. Sunday, November 25, 2018, 5:00 p.m.
Our annual event, Christmas in the Great Hall, includes dialogue from Medieval England fresh arrangements of international carols, and a few recently composed works. We often sing contemporary compositions in our concerts. These are easy to identify since they are recently written and often use new compositional ideas. But, what were the new, ‘edgy’ choral pieces in 1600? In 1900? This concert explores answers to these questions with music by Claudio Monteverdi, Arnold Schoenberg, Charles Ives, and many others.